1. All NGCP feeders at Bislig Substation are energized. There is no major damage or sustained fault. 2. The 138 kV Butuan-Placer line is under scheduled maintenance from 6 am to 6 pm today to transfer lines onto the permanent transmission structures. 3. Because of the scheduled maintenance works of NGCP, Surigao del Norte Electric Cooperative, Inc. (SURNECO) isolated Surigao City and the Municipalities of San Francisco and Malimono. Municipalities of Sison and Taganaan were also affected. SURNECO is doing the clearing and repairs while NGCP is doing maintenance works. 4. Based on the report of SURNECO, damage in distribution lines is minimal and it will be able to energize the isolated areas once NGCP completes its maintenance activities on or before 6 pm today. It is expected that 90% will be energized as soon as NGCP restores power. Note: Malimono & San Francisco municipalities are not passable at this time due to two (2) damaged bridges. Coordination is still being made if Malimono and San Francisco will have electricity within the day due to their inaccessibility. 5. SURNECO also declared total damage in its headquarters facilities. 6. The DOE will continue to monitor developments on this matter and will continue to provide updates. The largest sports media property in Asian history, ONE Championship (ONE), has once again electrified the capacity crowd at the Stadium Negara in Kuala Lumpur with another exciting evening of world-class mixed martial arts. The absolute best in local and international mixed martial arts stars took the ONE Championship cage by storm, delighting fans in Malaysia with non-stop action. In the main event, Ev “E.T” Ting emerged victorious over Kamal “Prince of Persia” Shalorus to win by split decision in a high-octane catchweight encounter. In the main event of the evening, lightweight contenders Ev Ting of Malaysia and Kamal Shalorus of Iran put on an absolute show to delight fans in attendance. For three rounds, Ting flaunted his tremendous striking, hammering Shalorus with lashing strikes on numerous occasions. Shalorus tried his best to take Ting to the ground, where he had the upper hand. However, he was unable to do so. In the end, Ting continued his winning streak, doing just enough to earn a split decision victory over Shalorus, who was unable to overcome Ting's sharpness. After the bout, Ting took the chance to thank the fans at the jam-packed Stadium Negara and called for a title shot against reigning ONE Lightweight World Champion Eduard Folayang. “Eduard Folayang, I am coming to your home to take your belt. See you on April 21st,” he said in his post-fight interview. In the co-main event of the evening, Malaysia’s very own Agilan “Alligator” Thani authored one of the most spectacular finishes of ONE: THRONE OF TIGERS, submitting Jeff Huang of Chinese Taipei with an astonishing rear-naked choke. Thani put on a masterful performance, pacifying Huang’s striking advantage in the early proceedings as the hometown favorite utilized his impeccable ground game. The young Malaysian prospect executed a flawless transition into a rear-naked choke that left Huang no choice but to submit in the second round. Malaysian female MMA superstar Ann “Athena” Osman captured a satisfying victory in front of a jubilant hometown crowd by routing Cambodia’s Vy Srey Khouch. After a long feeling-out process between the two fighters from a toe-to-toe stance, Osman shifted gears and took Srey Khouch to the ground, where her opponent was at a stylistic disadvantage. Securing a full mount, Osman rained down heavy shots. Srey Khouch tried her best to survive the onslaught, laying back mostly on the defensive. However, Osman was simply too much for her Cambodian foe, claiming the stoppage with two seconds left in the first round. Russia’s Movlid “Killer” Khaibulaev accomplished a major victory in his maiden assignment as a ONE Championship athlete by marking the first defeat in the professional record of Brazilian featherweight standout Herbert “The Blaze” Burns. Khaibulaev showcased his pinpoint accurate striking early on, peppering Burns with stinging right hands and spinning back-kicks in the first two rounds of the featherweight showdown. Khaibulaev took matters on the mat in the third round, where he tagged Burns with telling blows and maneuvered his cage counterpart easily on the ground to get the unanimous nod from the three judges at cageside. Previously-unbeaten Pakistani featherweight prospect Ahmed “The Wolverine” Mujtaba experienced the first loss of his career as he went to battle against Malaysian mixed martial artist Keanu Subba. Both fighters started out aggressively, but it was Subba who showed a more capable set of grappling skills, locking in a deep guillotine choke in the first round to the roar of his hometown crowd. In a clash of high-caliber strawweights, Alex “Little Rock” Silva of Brazil extended his impressive winning streak to four bouts by mustering a scintillating submission conquest of Philippine boxing champion Roy Doliguez. Knowing the risk in the stand-up exchanges with Doliguez, Silva relied on his world-class Brazilian Jiu-Jitsu pedigree as he spun a web of crafty grappling to dominate his Filipino foe. In the third round, Silva was finally able to fasten an armbar to force the tap. Saiful “The Vampire” Merican of Kuala Lumpur, Malaysia exhibited stellar form, proving himself a top bantamweight competitor with a stoppage victory over Filipino fighter Burn “Hitman” Soriano. Showcasing tremendous power with every strike and drawing cheers from the crowd after each landed blow, Merican’s thunderous kicks and punches proved too much for Soriano as the Filipino was unable to continue after the first round bell. Merican was awarded a technical knockout for his efforts. Singaporean prospect Tiffany “Soul Crusher” Teo notched her second-straight victory inside the ONE Championship cage by defeating Wushu Sanda gold-medalist Priscilla Hertati Lumban Gaol of Indonesia via unanimous decision. 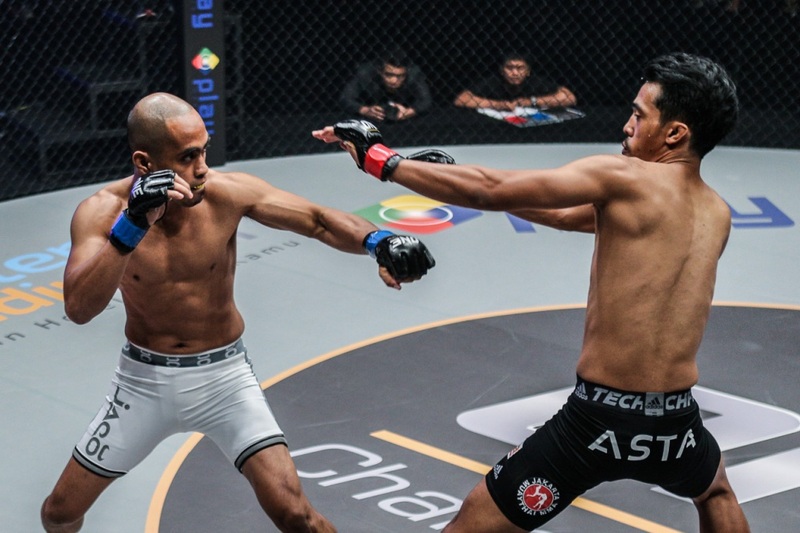 Muhammad Aiman of Malaysia kicked off a spectacular evening of world-class mixed martial arts action at ONE: THRONE OF TIGERS with a technical knockout victory over debuting Brazilian combatant Eduardo Novaes. Aiman finished the job with finesse in the first round, launching a perfectly-executed kick to the body before punctuating it with follow-up blows on the ground. The West African nation of Ghana, while rich in history and culture has been wrought with political strife and instability in recent years. 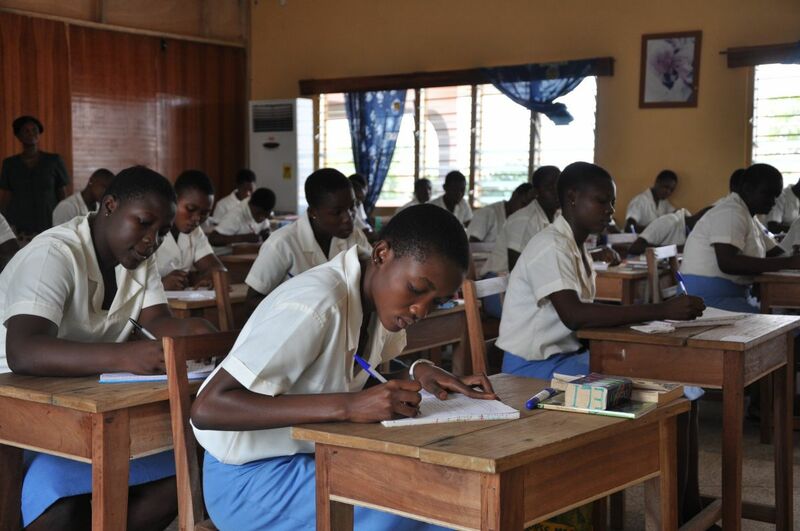 Even though Ghana has one of the highest enrollment rates in Africa (95%) it still sees a great disparity between the number of females attending school, versus the males. · 28%of primary school children drop-out before completion of all levels and forms. These are disturbing facts, especially for an education-rich country such as Ghana. Ghana has eight national universities with very high international student enrollment numbers. In fact, former UN Secretary Dr. Kofi Annan has been a Chancellor of the University of Ghana since 2008. This all very encouraging, yet the statistics speak for themselves. Children and their ability to receive a full and robust education is heavily influenced by poverty, political instability and by the reining governments’ initiatives regarding education. This is especially true for women and girls, who often bear the greatest burden from all these influences. Adult literacy has been an active program for many years – the though being, that by educating adults, they in turn will see the value of an education for their children, and keep them in school longer. This event was conducted by 1Sync Productions, a team composed of students from Marketing Department section 41S. It will tackle different avenues where students can enter optical industry and sharing success stories and best practices in fast growing world of photography, blogging and advocate marketing. We want to educate and empower our audience through high calibre and award winning photographers and motivational speakers. We’re committed to give the best issues, life values and classified strategies clothed to give our participants a one of a kind workshop event. 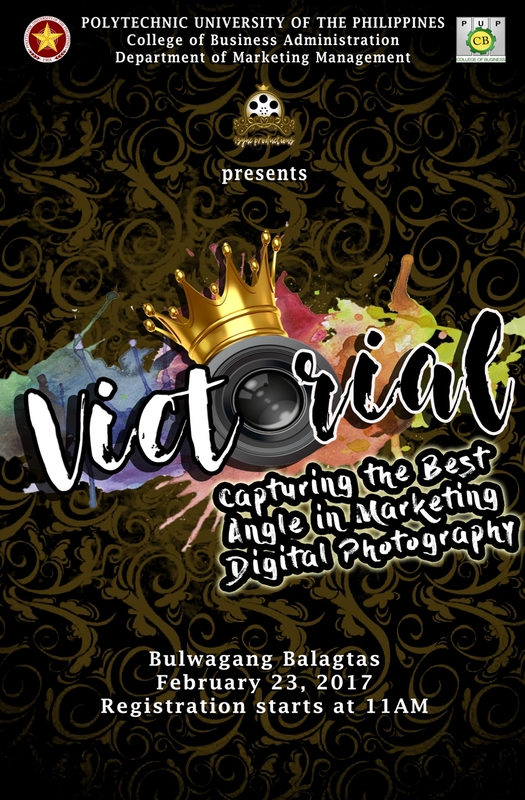 The said event will happen at the biggest function hall in PUP-Manila: The Bulwagang Balagtas. It can cater up to 1,200 people. The interior perspective is a marriage of past and future; the details are classic, fully air-conditioned and equipped to successfully deliver the message of each speakers. We are expecting our delegates from different universities around Metro Manila and 1 confirming State University from Bulacan. Victorial will be on February 23, 2017 (Thursday) Registration starts at 11 AM. Program will start at 1 PM. Get High on Love with BGC’s Heartful Treats! Catch yourself swooning at the end of the day. 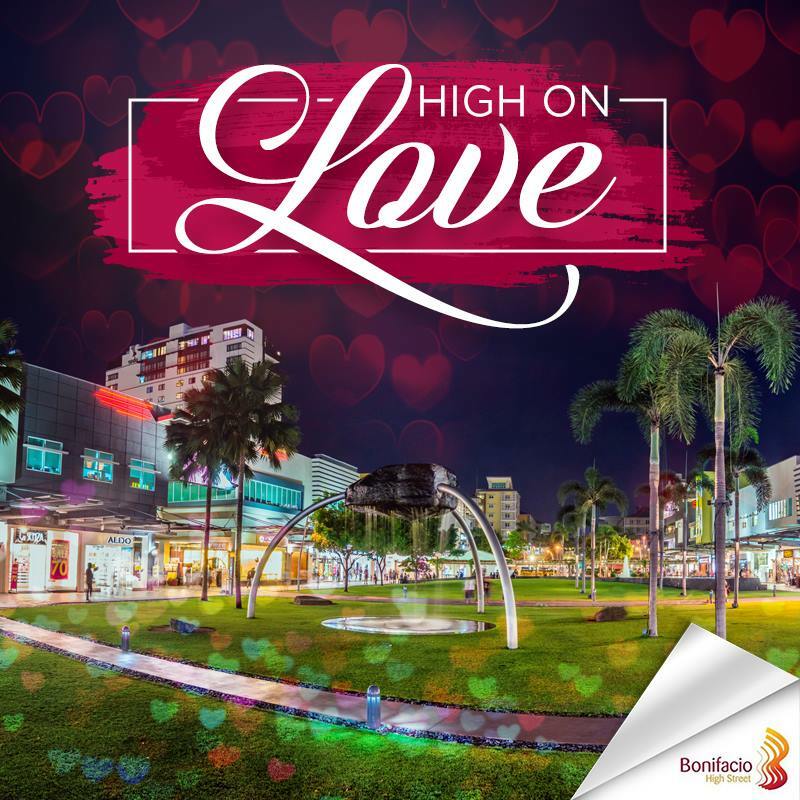 Bonifacio Global City is spreading the love this February with loads of activities for everyone! To celebrate all things passionate, BGC is kicking off the month of hearts with a free interactive movie screening on February 11. Catch up with your BFFs, SOs, and family for a free outdoor screening of romantic flicks such as Crazy, Stupid Love; Eat, Pray, Love; and 22 Jumpstreet at the Bonifacio High Street Amphitheater. That, and some live music and fun treats. Then, on Feb. 14, Valentine’s Day, get P143 off when you book a GrabCar to Bonifacio High Street from 2-5pm, using promo code #AyaloveBHS. Plus, a minimum spend of P1,000 from any Bonifacio High Street shop or resto will entitle you to a one-on-one tarot love reading session from experts. And as you cruise along major arteries of the city, let BGC remind you that true love waits when traffic lights turn red with a heart-shaped signal. “These are just some of the activities we set up in BGC this month of hearts. We’re out to remind everyone that this is a good time to celebrate and be happy regardless of relationship status,” said Sean Luarca, Fort Bonifacio Development Corporation (FBDC) Marketing Manager. From February 13 to 15, instead of issuing violation receipts to erring motorists, certain BGC Marshals will be on the watch for good motorists who will be rewarded with a sweet treat. #BGCityRules include giving priority to crossing pedestrians, refraining from parking or waiting on the street. The campaign called #HeartMarshalsinBGC will happen city-wide. Around 300-500 responsible motorists are set to be rewarded in a day. Technology has become an essential part of daily lives around the world, empowering people to achieve more for themselves, their families, and their communities. Youth from low-income backgrounds, however, may have very little knowledge, access, and exposure to technology which prevents them from gaining employment, tapping into new opportunities, and actively participating in an increasingly digital world. 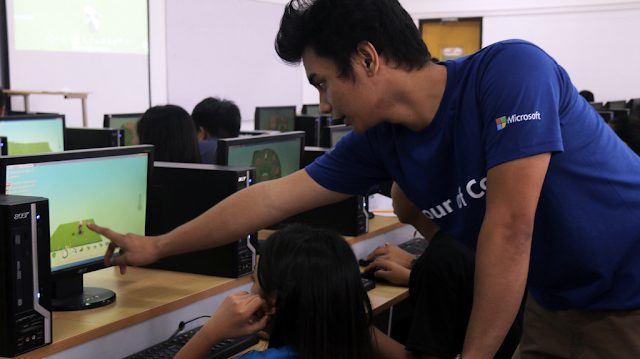 INNOVATE, a partnership between Gawad Kalinga (GK) and Microsoft Philanthropies under the Microsoft YouthSpark program, hopes to contribute to helping the youth, especially the disadvantaged, to pave a way out of poverty by providing them with the skills necessary to thrive in a digital world.INNOVATE is a cohesive two-pronged project that advocates the training and development of computational thinking (CT) and entrepreneurial skills that are integral to problem solving and leadership, regardless of the field or career the participants choose to pursue. Through INNOVATE, GK and Microsoft hope to create a tech stronghold that will prove to be a collective and lasting approach to addressing poverty. HOUR OF CODE. INNOVATE was launched with the Hour of Code in December 2016, an initiative designed to demystify coding and to encourage students to participate in a fun, interactive, introductory lesson to computer science. 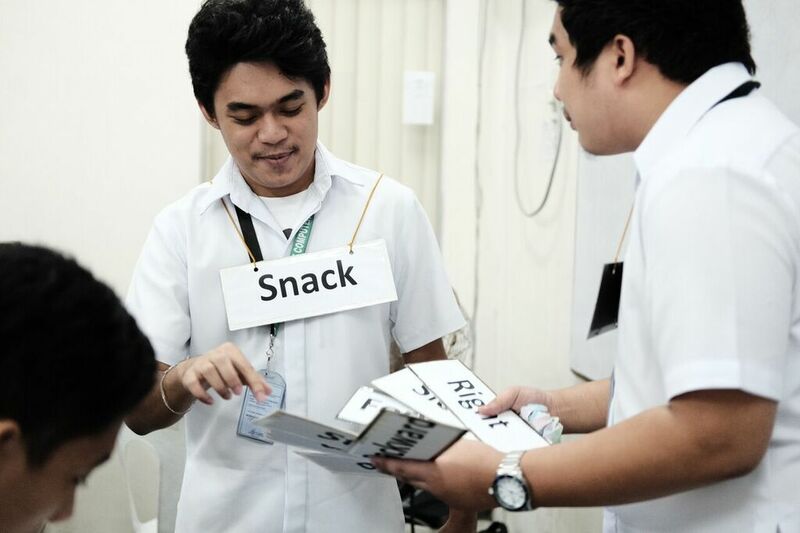 The campaign reached 4,000 youth and 250 teachers from Iloilo, Davao, and Compostela Valley. TRAIN THE TRAINERS. To ensure the long-term sustainability of the project, solid foundations will be established by providing formal educators and youth community leaders with leadership training anchored on computational thinking and creative problem solving. This strategy will empower them to be trailblazers and role models in their respective communities. The camps will lay the groundwork for the use of technology in social businesses and will feature inspirational talks from social entrepreneurs who will introduce GK’s business model, as well as workshops that encourage CT, tech-related creativity, and out-of-the-box thinking. Social entrepreneurship is one of GK’s main investments in its mission to address poverty through social movements. Through social entrepreneurship, the skills and resources of community residents can be tapped and a bridge can be built to bring their products and potential to the rest of Philippine society. Technology can accelerate and amplify this impact. Train the Trainers and the Social Business Camps are currently ongoing from January to March 2017. INNOVATE will culminate in a Youth Summit that will bring together social entrepreneurs, schools, and universities and be a platform for conversation and action on technology, employment, and entrepreneurship. INNOVATE seeks to reach out to 4,500 youth and 250 teachers in its training and development courses. The Department of Energy (DOE) conducted today (10 February) a workshop for electric cooperatives in the Bicol Region, which tackled the government’s comprehensive disaster and management protocol and system. Energy Secretary Alfonso G. Cusi envisioned the workshop as a policy research for the Department in updating its Disaster-Risk Response and Management Protocol, said Usec. Felix William B. Fuentebella. 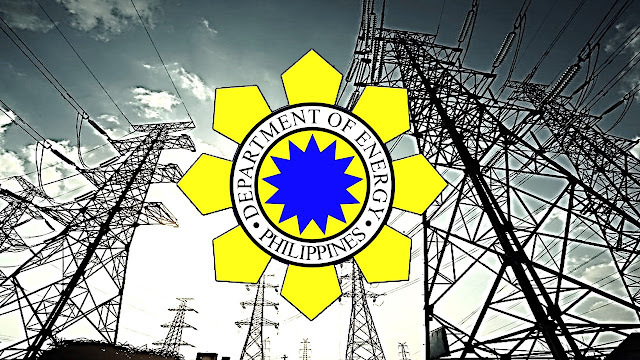 Fuentebella oversees the Department of Energy’s power sector portfolio. “We need an effective and standardized disaster-risk response and management protocol following our observations and experience from Typhoon Nina,” said Fuentebella, relaying Cusi’s message to the workshop participants. The DOE official said the policy recommendation will be among the presentations of the Philippines in the Asian Cooperation Dialogue in August 2017 which the Philippines is hosting. Cusi emphasized the need to strengthen mechanisms, especially the communication and coordination being done before, during and after disasters. The Philippines is most vulnerable to typhoons since the country is visited by 20 tropical cyclones each year. Fuentebella added that Cusi stressed that “safety precautions” must be undertaken during the rehabilitation of affected power facilities. Among those who participated in the workshop were representatives from the Albay Power Energy Corp. (APEC), Camarines Norte Electric Cooperative (CANORECO), Camarines Sur I, II, III and IV Electric Cooperatives (CASURECO I, II, III & IV), First Catanduanes Electric Cooperative (FICELCO), Sorsogon I and II Electric Cooperative (SORECO I & II), and the Ticao Island Electric Cooperative (TISELCO). “The Secretary wanted the conduct of such workshops in response to the impacts of disasters, particularly typhoons, and to address the risks affecting the power system in the future, thus making the sector more resilient,” Fuentebella concluded. Photo Caption: ENERGY DISASTER-READY: In line with the government's campaign to ensure LGUs are prepared for disasters, Energy Undersecretary Felix William B. Fuentebella under the direction of Energy Secretary Alfonso G. Cusi continues the series of forums on energy resiliency during emergency situations. The disaster protocol workshop was held Feb. 10 in Naga City. Jr. NBA Philippines 2017 presented by Alaska opens the second phase of its program, the Regional Selection Camp, in Cagayan de Oro this weekend. Young cagers in Mindanao aged 10-14 years old are invited to attend the two-day camp on February 11 and 12 at Xavier University, Corrales Avenue from 9 a.m. to 4 p.m. This Valentine's Day share the love to the whole family as Burgoo make available “Marvelous Family Combo" for only P999.000. 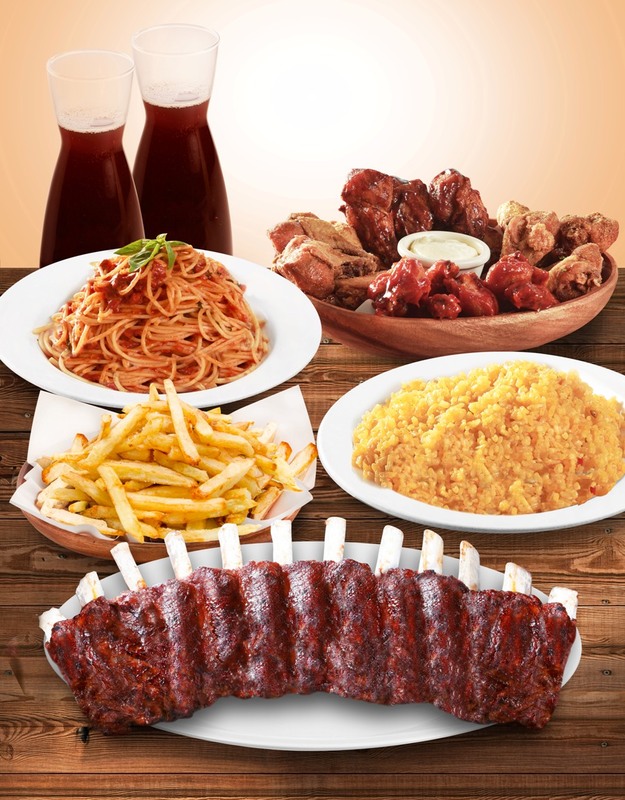 It includes four sumptuous flavors of Wild Wild Wings, a bucket of French Fries, a bowl of rice pilaf, Tomato-Basil Spaghetti, two karaffe of iced tea and one full slab of Oklahoma-style Grilled Baby Back Ribs. Anyways, Valentines is for all the people we love and family is where our heart is! So make them feel special, bring the whole family at located at T. Morato in Quezon City; Powerplant Mall in Rockwell Makati; The Podium in Ortigas; Gateway Mall in Araneta Center Cubao; Robinsons Galleria in Ortigas; SM City The Block in North EDSA; Mall of Asia in Pasay; SM City Marikina; SM Southmall in Alabang, The District in Cavite; 3rd level Terraces Mall in Fairview; Starmall in Taguig; and newly-opened Burgoo in Solenad, Nuvali. For reservations and inquiries, please call 9277424, 8381815, 6875254, 7263578, 9136112, 5560091 or 6336256. This Marvelous Family Combo is available the whole month of February. All ladies will receive fresh red roses on Valentines’ day itself! Enjoy new, unique and refreshing Cocktails at Cable Car while you meet new people end enjoy exciting activities! 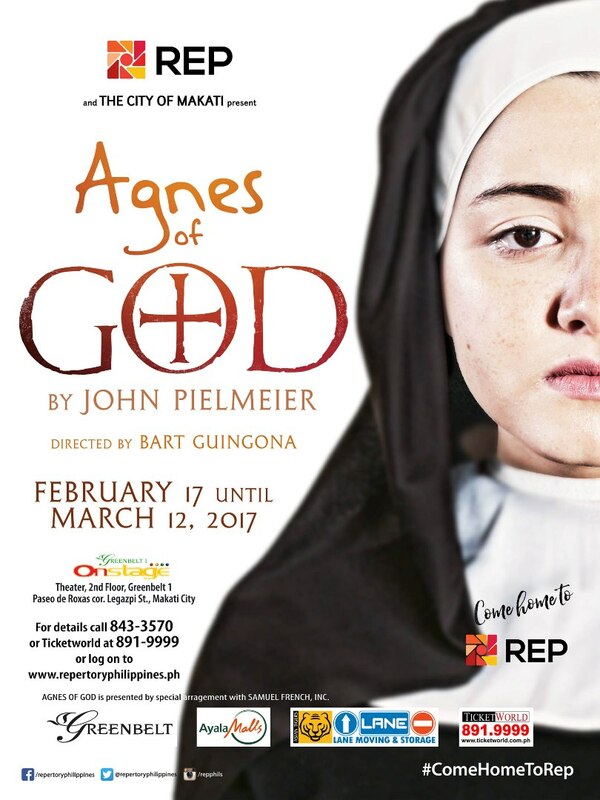 Happening this February 14, 2017 at Cable Car Tomas Morato! Cable Car invites everyone to be a part of its Valentine’s Celebration this February 14, 2017 7PM onwards at Cable Car Tomas Morato. Cable Car with its Marketing Slogan “It’s Home” has been providing its venue as an ultimate go-to place for different kinds of people from all walks of life. So whether you are Single, In a Relationship, It’s Complicated or happily married with kids, everyone is welcome at Cable Car! Cable Car aims to maintain the romantic vibe of Valentine’s with twists that guests will enjoy. Before entering Cable Car Tomas Morato on Valentine’s Day, guests can register their status for free and get to enjoy these perks: Free glow stick color coordinated depending on your status so you can mingle with fellow guests with the same status as you, 50% off on all Cable Car Cocktails, and free Beer Pong games where we’ll pair guests with the same status together. Not sure what to try from Cable Car’s New and Original Line up of cocktails? No problem! A free Cocktail sampler will be provided once guest order any Food! Cocktails will also be mixed by Cable Car’s Bartenders in front of the guests and displayed on the bar to fully introduce them to the crowd. Guests can check out what Cocktail represents their status best this Valentine’s Day. Guests will also be sure to enjoy the night with beats from DJ Kael of Manila Hypin. Don’t forget to take a photo with any Cable Car Cocktail, upload it on Instagram with the hashtag #CableCarCocktailPH to win GCs from Cable Car! Can’t go to Cable Car Tomas Morato? Free Cocktail Sampler Promo and IG Photo Contest available on other branches! See the new Cocktails displayed as well in our branches at Makati, BGC and Ortigas while you get serenaded by Jana Garcia, Terazza and Mark Cordovales or Fifth Dynamics! 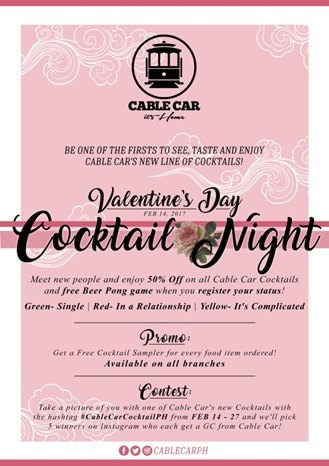 See you on the 14th as Cable Car brings you a unique way to spend Valentine’s Day! Valentine’s Day is not only for couples. Home is where the Heart. Come Home to Cable Car this Valentine’s Day! Make your Valentines extra special by having quality steaks for two at Gumbo. Get this “But One Take One Steak” the whole month of February at Gumbo for as low as P595.00. 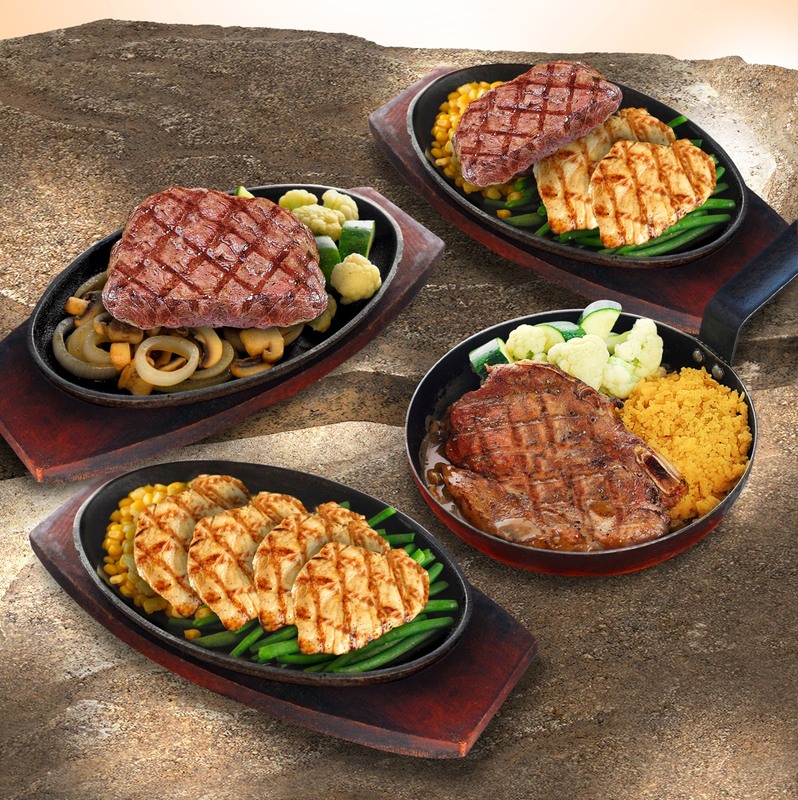 Choose from sumptuous chicken steak to tender-juicy pork loin to USDA Country-style steak, among others, served with choice side dishes like mashed potato, corn and carrots, coleslaw, rice pilaf, etc. Aside from this delicious treat, red roses await all ladies on Valentine’s day! Enjoy quality dishes plus huge savings at Gumbo located at the 2nd Level Entertainment Hall, SM Mall of Asia in Pasay; 3rd Level Robinsons Manila Midtown; 2nd Level SM City The Block, North EDSA: Gateway Mall in Araneta Center, Cubao; Robinsons Magnolia; and at the 2nd Level Atrium Bldg. in SM Megamall. For reservations and inquiries, please call 5560238, 4420106, 6353015, 5671820, 4404632 and 5271925. A total of 57 lucky winners of the #SMShoppingSpree promotion welcomed the New Year with a big smile! A joint project between The SM Store and Mastercard, every P3,000 single-receipt purchase using a Philippine-issued MasterCard at The SM Store entitled a cardholder to one electronic raffle entry that gave them a chance to win P100,000 shopping spree at any SM Retail Store! It was an exciting afternoon when we followed #SMShoppingSpree winners Marivic Miranda at The SM Store Makati, Ma. Carmela Dela Cruz at The SM Store MOA, Melody Samudio at The SM Store Aura, and Josefina Sura at The SM Store Megamall as they went on to shop with their families, who joined in the fun. The #SMSHOPPINGSPREE promotion is one of the many exciting promotions of The SM Store. Watch out for The SM Store’s more exciting promos for shoppers in 2017. Two Filipino homegrown talents will don the Philippine colors on the undercard of ONE: THRONE OF TIGERS on Friday, 10 February at the 12,000-capacity Stadium Negara in Kuala Lumpur, Malaysia. Burn “The Hitman” Soriano locks horns with Malaysian stalwart Saiful “The Vampire” Merican in a three-round bantamweight contest, while former Philippine boxing champion Roy Doliguez faces strawweight ace Alex “Little Rock” Silva. 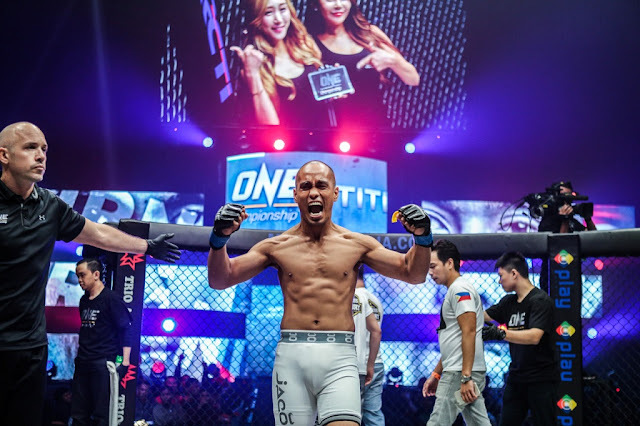 Both Soriano and Doliguez are seeking to hoist the Philippine flag aloft by winning their respective matches at ONE: THRONE OF TIGERS, which is headlined by a lightweight encounter between Malaysian-Kiwi standout Ev Ting and mixed martial arts (MMA) veteran Kamal Shalorus. “It’s an honor to represent the country on a global stage like ONE Championship. I promise that I will do my best to give my beloved nation another spectacular win,” Soriano said. “It’s also a privilege to compete alongside a fighting veteran like Roy Doliguez. For sure, he is also eager to win his fight for the Philippines. We are aiming to walk away as victors in our upcoming matches in Malaysia,” he added. Witness a bigger edition of Water Philippines 2017 as it co-locates the first Renewable Energy (RE) and Energy Efficiency (EE) Philippines 2017 to highlight ways and means to Water and Energy advancements. Running on its 4th edition this March 22-24, Water Philippines 2017 is a biennial event which is growing and becoming more successful since its establishment in 2011. Known as the Philippines’ Leading International Water Supply, Sanitation, Industrial Wastewater Treatment and Purification Event, Water Philippines 2017 is bringing together over 380 participating exhibitors from 20 countries including 8 international and regional pavilions from China, Germany, Korea, Malaysia, Singapore, Taiwan, Thailand and USA. This wide array of participating companies and key players in the Water and Wastewater industry is set to present a complete overview of their products, technologies and innovations. Water Philippines 2017 is also expecting to gather some 8,500 quality trade visitors from more than 20 countries including top practitioners, industry professionals and thought leaders. It promises to be an outstanding on-the-spot market of products, connections and opportunities for building strong partnerships and sourcing valuable information on advanced technologies. “Water Philippines 2017 continues to embody our commitment to help ensure sufficiency, safety and security in the provision of water supply, the proper treatment and safe disposal of wastewater and sewage and the protection and sustainability of our natural water resources through efficient management and utilizing the latest in modern appropriate systems and technologies.”, as emphasized by Engr. Eulogio Agatep II, the newly-elected President of Philippine Water Works Association (PWWA). PWWA is the national premier umbrella organization of the government, private agencies and individuals in water supply and development. ONE Championship, which is widely considered as the frontrunner of mixed martial arts (MMA) in the Asian region, is set to electrify the 12,000-seater Stadium Negara in Kuala Lumpur, Malaysia once again by holding ONE: THRONE OF TIGERS on Friday, 10 February. Looking to keep that big ball of momentum going generated by the recent card in Jakarta, Indonesia, the blockbuster live event will feature the absolute best in local and international MMA talent, accentuating a tremendous main event bout between hometown hero Ev “E.T.” Ting and lightweight veteran Kamal Shalorus. With a potential title shot awaiting the winner of the three-round lightweight encounter between Ting and Shalorus, the spotlight is on the headlining bout of ONE: THRONE OF TIGERS. Here is a closer look at the world-class MMA athletes to watch out for on the undercard of ONE: THRONE OF TIGERS. Akbayan Senator Risa Hontiveros today chaired the Senate Committee on Heath and Demography that deliberated a bill that seeks to improve the bed capacity of Department of Health (DOH) hospitals, and processes related to bed capacity. Senate Bill Number No. 1143 otherwise known as the DOH Hospital Bed Capacity Rationalization Act, authored by Hontiveros, aims to give the DOH the ability to set and approve the bed occupancy rates of its retained hospitals. Hontiveros said that there is a need to improve bed occupancy in public hospitals. The current bed occupancy standard set by the World Health Organization is at 80-85%. However, the senator said that with the devolution of health services, there are now only 70 DOH-retained public hospitals nationwide, of which 51 are considered general hospitals while 19 are specialty hospitals. The said DOH hospitals complement the devolved district and provincial hospitals, as well as private hospitals, in providing health care services to millions of Filipinos. “Often serving patients beyond their allowed bed capacity, these hospitals are constrained by lack of adequate manpower and resources to fully provide the quality of health care their patients deserve. As a result of the mismatch between their authorized bed capacity and hospital bed occupancy rate, which according to one study averages at 121%, it is not surprising to hear stories of patients spilling over in public hospital hallways or of 2 patients sharing one bed,” Hontiveros added. Under current regulations, a DOH hospital can only increase its bed capacity via legislation. 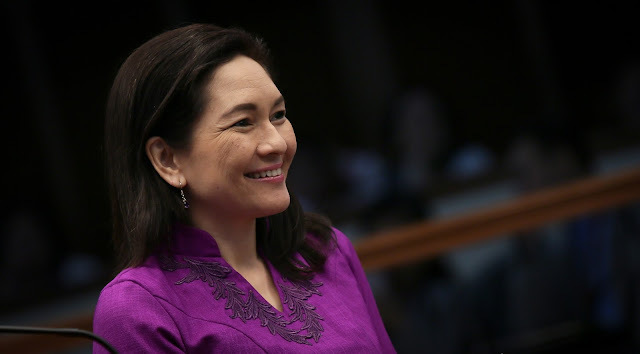 Hontiveros said that adjusting the bed capacity of a public hospital to be able to serve patients better has to compete with thousands of proposed bills in Congress and more often than not, these do not get approved or once approved, the need has already changed. Hontiveros’ bill gives back the DOH the mandate to address the problem of bed occupancy. “The DOH is the best equipped agency to do this job given that it has both the technical expertise and the internal mechanisms to anticipate the public hospitals’ future needs. By allowing the DOH to administratively set and approve the authorized bed capacity of its hospitals, we remove one barrier that impedes the efficient delivery of health service. Bed occupancy refers to the utilization rate of the total number of beds in a hospital over a given period of time. Bed occupancy is critical to hospital resource planning and ensuring optimal care for patients. High bed occupancy rates normally means fewer days for in-patient care for those people who need hospitalization. Globe Telecom closed the year with all time high consolidated service revenues of close to P120.0 billion, outpacing the previous record level of P113.7 billion in 2015 by 6%, pushing core net profit to reach record high of P16 billion, up 6% on year from P15.1 billion. The sustained revenue momentum, despite the competitive intensity in the market during the second half of 2016, was driven by the solid growth in data-related products across all segments, and robust subscriber growth for both mobile and broadband. This was likewise supported by the sustained execution excellence for the various product launches during the year, backed by its improved network performance, as Globe moves forward with its capacity and coverage enhancement initiatives intended to elevate the state of internet in the country. “Notwithstanding the heightened market competition in 2016, we ended the year on a high note, marked by all-time high quarterly and full year revenues, and record-level EBITDA. Our sustained growth momentum is evidence of the underlying strengths of our superior products and services and our conscious effort to create wonderful experiences for our customers,” Globe President & CEO Ernest L. Cu, said. “As we move forward in 2017, we are optimistic that we will maintain our growth trajectory as we continue to strengthen our leadership in the digital space, through the use of innovation and partnerships with global content providers. Our aggressive investments in our network are designed to meet the country’s future digital demands,” Cu added. Mobile revenues slightly grew year-on-year, at P91.9 billion in 2016 from the P91.2 billion reported a year ago, driven by the continued shift from core voice and SMS in favor of data as more Globe customers adopt the digital lifestyle. TM, the company’s mass-market brand, registered 3% revenue growth from last year, while Globe Postpaid revenues posted a slight 1% improvement from 2015, partly offset by Globe Prepaid revenues, which posted a year-on-year decline of 1%. At the end of December 2016, Globe Telecom’s mobile subscriber base reached 62.8 million, up a robust 12% from the 56.2 million subscribers reported in 2015, driven by the record-level prepaid gross acquisitions during the year despite the increased blended churn rates. On a product perspective, mobile data is now the biggest contributor to total mobile revenues (38%), outpacing voice (37%), despite the industry war in data pricing in the second half of the year. Mobile data service revenues reached P34.6 billion in 2016, 25% higher than the P27.7 billion reported a year ago. Mobile data traffic grew 44% from 252 petabytes (PB) to 361 PB in the year just ended, as smartphone penetration now reached 61%, given the market’s positive response to Globe Telecom’s expanded data-driven product portfolio. Consistent with global trends, voice and SMS revenues remain challenged with the continuous migration to internet-based applications. The Globe home broadband business likewise sustained its growth momentum at P14.5 billion in 2016, increasing revenues by 28% year-on-year, with total subscriber base now reaching 1.13 million. The impressive growth in revenues was driven by the continued subscriber expansion in fixed wireless (+23%) solutions, given the favorable customer response to Globe home broadband’s latest plans, which not only incorporate fully-upgraded speeds and data allocation, but also comes bundled with their choice of premium content, and the most cutting-edge devices for a full on-demand entertainment experience. Globe Telecom’s corporate data business likewise improved year-on-year at P9.9 billion as of end 2016 or 28% higher from the P7.7 billion posted in 2015, as demand for data connectivity continues to surge, impacting customer expansion, circuit count increase and higher usage. The strong demand for internet and domestic leased lines, as well as cloud computing solutions, contributed to the revenue growth in the corporate data business. The growth was likewise aided by the revenue contribution from Bayan’s corporate data revenues. Traditional fixed line voice revenues, also posted an 11% increase year-on-year at P3.8 billion as of end 2016 due to the continued popularity of the new home broadband bundled plans. Globe posted another record-level consolidated EBITDA, ending the year with close to P50 billion, up a robust 9% from a year ago. Total operating expenses and subsidy grew in step with revenues, or higher by 3% year-on-year to P70.0 billion from P67.7 billion last year, as Globe continued to re-invest gains to support the growing subscriber base and the aggressive expansion of its data network. EBITDA margin was at 42%, higher than the previous year’s margin of 40%. Increase in non-operating expenses included the P1.1 billion of costs related to the acquisition of Vega Telecom, Inc. (“VTI”), as well as the company’s share in net losses of joint venture, spectrum amortization and interest expenses related to the additional debt incurred from the VTI transaction. 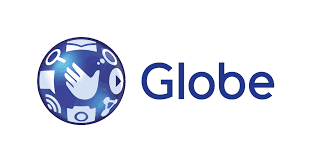 Globe spent around P36.7 billion ($772 million) in capital expenditures as of end-December of 2016 to support the growing subscriber base and its demand for data. Of the total capital expenditures spent this year, about 65% was for the data service needs of its customers. Chaos night club at City of Dreams Manila heralds yet another eventful year with its second anniversary celebration. 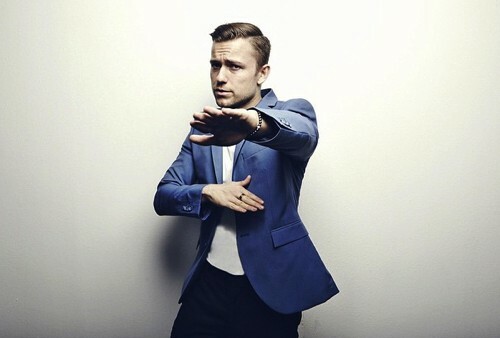 The trendsetting venue will feature Los Angeles-based Trap and Electro House artist Party Favor who will spin his trademark bass-laced tunes to get all partygoers in a frenzy of excitement on February 25. To jump start the 2nd anniversary party scene, Chaos resident DJs MVRXX, Jet Boado, and MC Ronthug will perform during the early part of the event. Since its opening, Chaos consistently showcases an impressive roster of both international and local artists from all genres of the EDM and Hip-hop spectrum on weekends, and also highlights live performances by stellar local bands on Wednesdays. As one of the top rising artists in EDM, Manhattan-born Dylan Ragland aka Party Favor’s career in music took off in 2013 when he worked on a remix for Miley Cyrus’ “Someone Else”. He signed on to record label Mad Decent and released the chart-topping electro track “Bap U”, notably his most recognized original song, which became a staple in numerous club playlists across the US and Europe. Party Favor's newest EP release Party and Destroy hit #2 on the iTunes album charts and the lead single "Give It To Me Twice" garnered over 1 million plays on Spotify in its first two weeks. The 2016-released EP boasts of collaborations with Dillon Francis, Gucci Mane, Sean Kingston, Rich The Kid, Gent & Jawns and Georgia Ku. Cloudfone, one of the fastest rising mobile tech companies in the country, further strengthened its commitment to being a partner of change through its latest CSR initiative, in celebration of the National Reading Month last November 2016. In partnership with Globe, 1,200 Cloudpad Epic 8.9 devices were distributed to 80 selected beneficiary public schools nationwide that are part of the Global Filipino Schools (GFS) program. 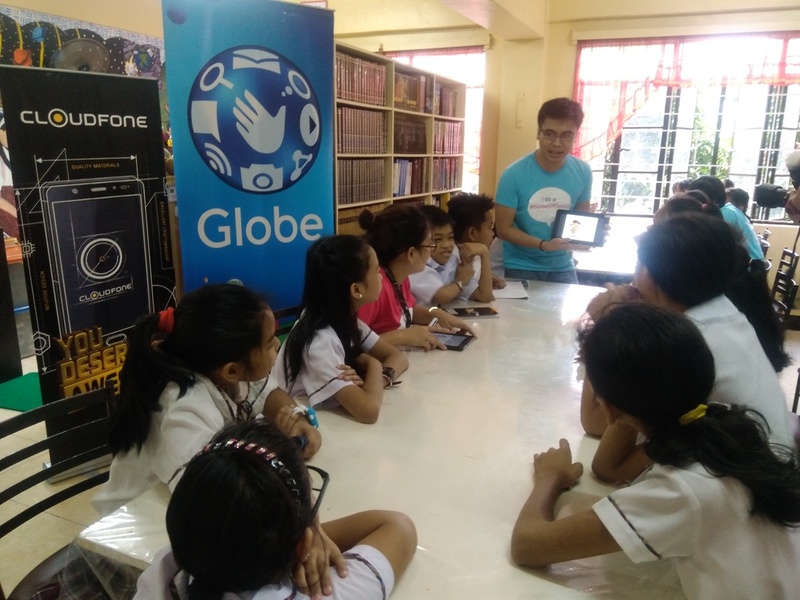 As part of Globe’s initiative, GFS is a long-term educational program that seeks to transform selected public schools into centers of ICT (information and communications technology) excellence. By 2020, Globe, with the help of Cloudfone, aims to establish GFS in each of the 226 DepEd divisions nationwide. Through these efforts, Cloudfone and Globe aim to promote e-learning by utilizing Cloudfone’s tablets as learning/teaching tools for academic institutions and their hardworking teachers and students. Through Cloudfone’s wide range of powerful devices, students can now enjoy better connectivity and gain access to more online educational sources. On the other hand, teachers may also use Cloudpads as part of the school’s new and modern approach to integrated teaching in the classroom. This effort to use advanced technologies, an important step forward for the participating institutions and education sector as a whole, as this sets the stage for 21st century learning. Perfect for the classroom, the Cloudpad Epic 8.9 is a handheld, slate tablet that can be used in lieu of traditional laptops. With a unique “crossover” technology feature, this tablet offers the best of both worlds - rich multimedia experience care of Android, and an ideal productivity environment with Windows making it compatible with many other devices that may be used in the classroom. Akbayan Senator Risa Hontiveros, a staunch critic of the government's police-centric war on drugs, called on President Rodrigo Duterte today to listen to a former Colombian president's advise not to mimic his country's failed drug war campaign. In a New York Times article published on Wednesday, Cesar Gaviria, the president of Colombia from 1990 to 1994, wrote that Duterte is repeating his mistakes in confronting the drug problem. Gaviria, who during his term waged a bloody war on drugs that killed notorious drug trafficker Pablo Escobar and slaugthered thousands of Colombians in the process, said that any anti-drug campaign cannot be won by armed forces and law enforcement agencies alone. He admitted that the drug war his government waged was a failure. "Throwing more soldiers and police at the drug users is not just a waste of money but also can actually make the problem worse. Locking up nonviolent offenders and drug users almost always backfires, instead strengthening organized crime," Gaviria wrote. Hontiveros said that Gaviria's admission is proof that a strictly law enforcement approach to the drug problem is flawed. "The Duterte government should stop its 'cut and paste' approach to illegal drug trafficking. If Colombia's war on drugs, acknowledged as one of the most relentless and heavy-handed in the world, failed, what makes President Duterte think that his own drug war, smeared with thousands of extrajudicial killings and human rights violations, will succeed? What's so special about the president's war on drugs that it will not end up just like the rest of the failed drug wars implemented by Colombia, the United States and Thailand?" she said. Last year, Philippine National Police (PNP) Chief Ronaldo Dela Rosa visited Colombia to learn from its drug war. Dela Rosa expressed his desire to form a Philippine version of Colombia's Search Bloc, a special Colombian police force that targets wanted and dangerous personalities or groups. 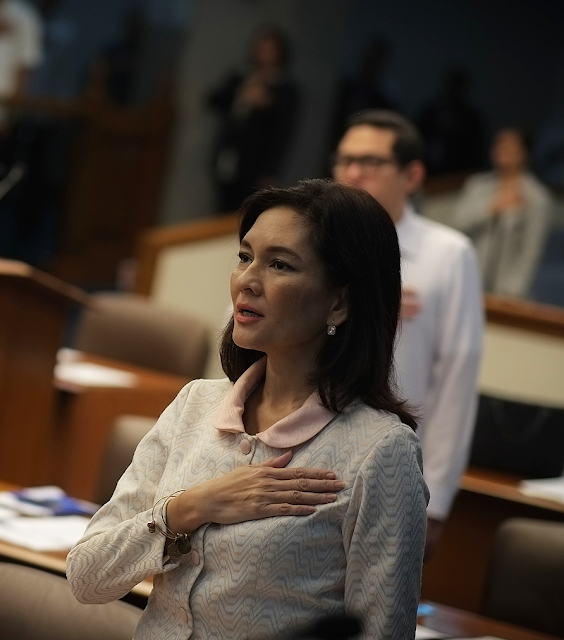 Hontiveros reiterated her call for a strong public health framework to address the country's drug problem, which was similarly advocated by Gaviria. The former Colombian president said that real reductions in drug supply and demand will come through improving public health and safety, strengthening anticorruption measures and in investing in sustainable development. On Monday, Hontiveros filed Senate Bill No. 1313 otherwise known as “the Barangay Health and Rehabilitation Strategy Act of 2017” to replace the government’s "corrupt and abusive anti-drug campaign" with an “alternative health and law enforcement strategy” to address the country’s drug problem. 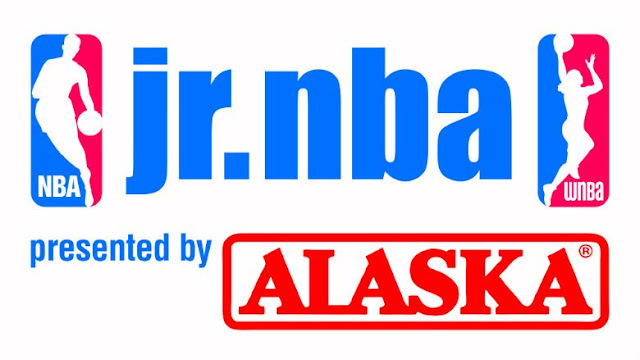 The National Basketball Association (NBA) and the International Basketball Federation (FIBA) today announced the top 67 boys and girls from 32 countries and territories who will travel to New Orleans for the third annual Basketball without Borders (BWB) Global Camp. The camp will be held Feb. 17-19 at the New Orleans Pelicans’ practice facility as part of NBA All-Star 2017, and Nike will serve as the official partner. NBA and FIBA players and coaches, including Cheick Diallo (New Orleans Pelicans; Mali), Wayne Ellington (Miami Heat; U.S.), Justin Holiday (New York Knicks; U.S.), Meyers Leonard (Portland Trail Blazers; U.S.), Thon Maker (Milwaukee Bucks; South Sudan; BWB Americas 2015/BWB Global 2016) and Emmanuel Mudiay (Denver Nuggets; Democratic Republic of the Congo), will coach the top high school age campers from Africa, the Americas, Asia and Europe. Diallo, Ellington, Holiday, Leonard, Maker and Mudiay will be joined by former NBA player Adonal Foyle (St. Vincent and the Grenadines), former WNBA players Rushia Brown (U.S.), Ebony Hoffman (U.S.) and Ruth Riley (U.S.), as well as select players from the BBVA Compass Rising Stars Challenge. 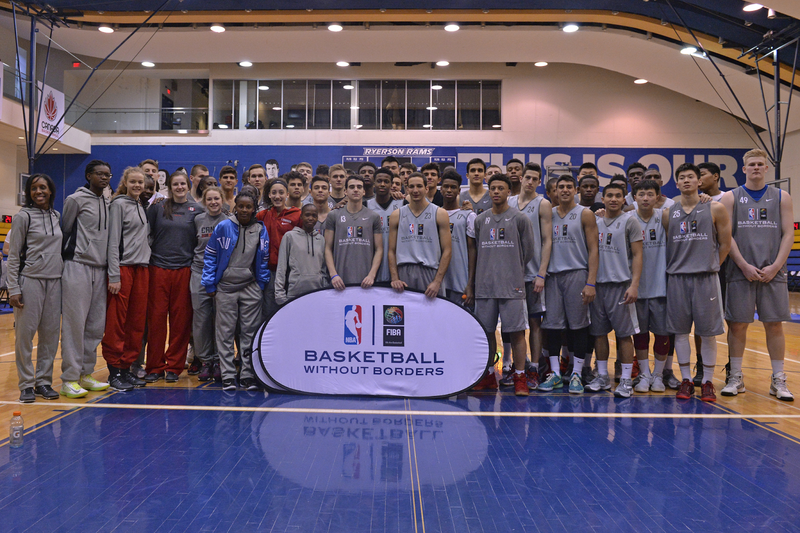 The NBA and FIBA hosted the inaugural BWB Global Camp at NBA All-Star 2015 in New York City, beginning an annual All-Star tradition. BWB, the NBA and FIBA’s global basketball development and community outreach program, has reached 2,690 participants from 133 countries and territories since 2001, with 43 campers drafted into the NBA. Twenty-three former BWB campers were on opening-night rosters for the 2016-17 season, including Dragan Bender (Phoenix Suns; Croatia; BWB Global 2015), Maker and Jamal Murray (Denver Nuggets; Canada; BWB Global 2015). Current NBA assistant coaches Joe Connelly (Denver Nuggets), Jay Hernandez (Orlando Magic) and Fred Vinson (New Orleans Pelicans), along with Brooklyn Nets scout and NBA D-League Assistant GM Matt Riccardi, will also serve as BWB Global coaches. Patrick Hunt (President of the World Association of Basketball Coaches; Australia), Gersson Rosas (Houston Rockets; Colombia), Marin Sedlacek (Philadelphia 76ers; Serbia) and Masai Ujiri (Toronto Raptors; Nigeria) will serve as camp directors. Former NBA trainer Wally Blase (U.S.) will serve as the camp’s athletic trainer. Players and coaches will lead the campers through a variety of activities on and off the court, including movement efficiency, positional skill development, shooting and skills competitions, 5-on-5 games, and daily life skills seminars focusing on health, leadership and communication. One boy and one girl will be named BWB Global Camp MVPs at the conclusion of the three-day camp. The campers will attend the BBVA Compass Rising Stars Challenge, State Farm NBA All-Star Saturday Night, and the 66th NBA All-Star Game at Smoothie King Center. Nike, a BWB global partner since 2002, will outfit the campers and coaches with Nike apparel and footwear. Fusionetics, a performance healthcare system designed to help athletes move, perform and recover, all while mitigating their risk of injury and optimizing performance, will provide movement efficiency testing and specific performance data on speed, agility and strength to the campers. Each camper will receive the Fusionetics app and get a digital profile with personalized injury prevention and performance programs. The first-ever Basketball without Borders camp took place in Europe in July 2001. Vlade Divac (Serbia) and Toni Kukoc (Croatia), together with former teammates from the Yugoslav national team, reunited to work with 50 children from Bosnia and Herzegovina, Croatia, the Former Yugoslav Republic of Macedonia, Slovenia and Serbia and Montenegro at La Ghirada in Treviso, Italy. 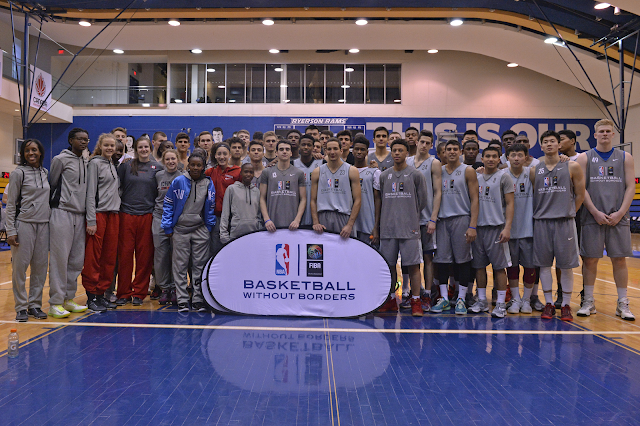 The NBA and FIBA have staged 46 BWB camps in 27 cities across 23 countries on six continents. More than 215 current and former NBA, WNBA and FIBA players have joined more than 170 NBA team personnel from all 30 NBA teams to support BWB across the world.